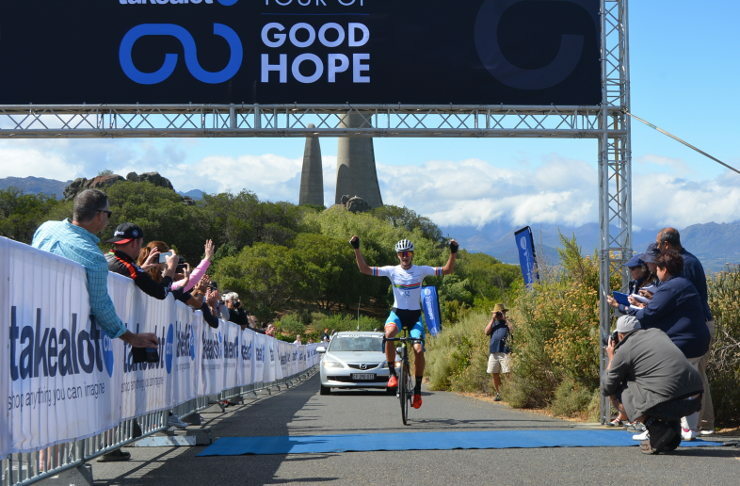 With just less than 11 months to go, race organisers ASG Events are already planning for the 2020 edition of the Tour of Good Hope, with entries now open. Next year’s cycling road classic in the Cape Winelands will take place from March 2-6 and ASG chief executive Erick Oosthuizen said they were aiming to improve the overall offering. “We admit that the first day was probably a bit short, but we will get that right for next year,” he said. In an interesting development, Oosthuizen said former Springbok rugby players John Smit, Breyton Paulse and Stefan Terblanche had all committed to riding in next year’s tour. “This is something that is developing as we go along but it will be great to have them on the tour to experience one of the country’s premier road tours,” he said. He acknowledged that they had faced a few challenges in setting up this year’s event. “I think it’s important to note the problems as well, and the major issues were the roadworks. The same categories will be offered as this year, with team and solo options for the amateur riders. While introducing a team competition this year, Oosthuizen added that the solo categories remained an integral part of the overall offering.